You don’t have to be a millionaire to charter a yacht with Royal Yacht Charters. Royal Yacht charters offers different sized Yachts at a variety of low to high prices. Royal Yacht Charters doesn’t just charter Yachts – they offer a luxurious experience you and your guests will remember for a lifetime. From bachelor parties to a yacht wedding, Royal Yacht Charters has put together all kinds of water based adventures and events throughout Miami, New York, Los Angeles, and internationally. 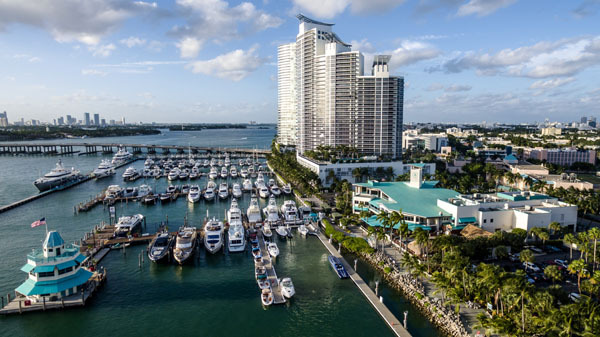 Located in the heart of South Beach, Royal Yacht Charters prides itself on the wide range of yachts they have to offer – each appropriately and selectively chosen with the guests needs in mind. Whether it’s their 48’ SeaRay motor yacht best for accommodating family or private/romantic occasions or their 73’ Sunseeker for those looking for more speed and thrill, Royal Yacht Charters caters to all individuals, near and far. For the past 10 years, luxury brands such as Azimut, Lazzara, Feretti, and Westport have trusted Royal Yacht Charters to well represent their yachts, complimented by their one of a kind service and attention to detail. To offer a luxury water toy for a half day, full day or a week at an affordable price is rare in Miami. Celebrities also recognize Royal Yacht Charters quality services, such as P Diddy, Scott Disick, a variety of famous soccer players and many others. The beauty of chartering a yacht is that you can live like the rich and the famous for a day, without the responsibility and cost of owning a yacht. Royal Yacht Charters sells a luxurious experience without breaking your bank.